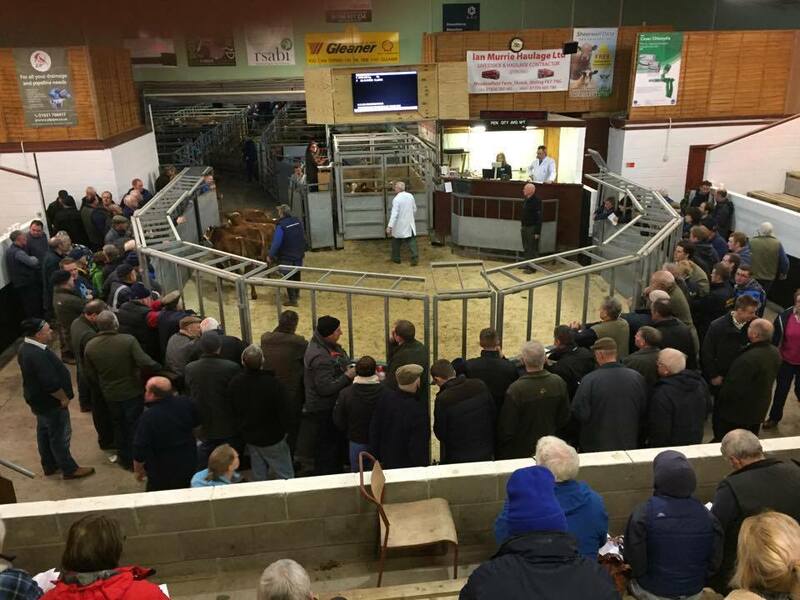 Lochboisdale – United Auctions held their annual early new year sale of all classes cattle and sheep at Lochboisdale Auction Mart on Thursday January 10. An increased entry of stock on the year was presented to the regular force of buyers forward from the Mainland. Bullocks sold to average 209 pence per kilo or £720 per head (+ 7 pence per kilo or + £47 per head) whilst Heifers levelled out at 184 pence per kilo or £589 per head (- 4 pence per kilo or + £19 per head). Principal lots and prices. Top prices per head. AAx: £900 – 325 North Boisdale : £855(4) – 8 Milton : £830 – 325 North Boisdale : £810(2) – 261 Daliburgh : £800 – 8 Milton, 261 Daliburgh and 301/324 Kilphedar. BSHx: £740 – 28 Eoligarry, Barra. BAx: £795 – 2 Grimsay Island. LIMx: £865 – 1 Airidhmhuillin : £850 – 17 Torlum : £820(2) – 15 Ormiclate. SIMx: £980(2), £900, £850, £845 and £835 – 136 Stilligarry. AAx: £780 – 325 North Boisdale. BRBx: £810 – 136 Stilligarry. LIMx: £825 – 13 Eoligarry, Barra : £820 – 1 Howbeg : £805 – 103 Carnan. AAx: 235p – 2 Askernish : 231p(4) – 8 Milton. BAx: 248p – 2 Grimsay Island. LIMx: 263p(2) – Hillview : 255p – 8 Milton : 243p and 236p – 17 Torlum : 232p – 18 West Gerinish : 231p(2) – 15 Ormiclate. SIMx: 239p(3) and 232p – 136 Stilligarry. AAx: 212p – 8 Milton. BAx: 228p – 2 Grimsay Island. LIMx: 223p – 18 West Gerinish : 222p – 15 Ormiclate and 5 Dunganachy. Cast cows. £970 – 224 Stoneybridge : £880 – 5 Milton : £850 – 324 North Boisdale. Incalf cows. £880 – 224 Stoneybridge : £860 – 136 Stilligarry : £840 – 15 Ormiclate. Hoggs: £49.50 – 29 Claddach : £49.00 – Croismorag. Ewes: £42.50 – 8 Peninerine. Cast rams: £57 – 122 Craigston, Barra. 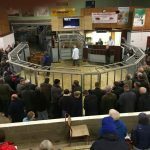 Stirling – United Auctions Stirling (Thursday January 10) sold 5668 prime sheep comprising of 4011 prime lambs selling to an average of 187.1.ppk & 1657 ewes and rams. Lambs (4011) – Overton of Knaven (Tex) £108; South Flanders (Con) £105.00; Luckenburn (BTex) £104.00; Overton of Knaven (Suf) £91.00; West Thomaston (Chev) £88.00; Luckenburn (Mule) £85.00; Letar (BF) £84.50. Lambs (4011) – West Lethans (BTex) 236.00ppk; Easter Ochtermuthill (Tex) 219.00ppk; South Flanders (Con) 206.00ppk; Clunebeg (Suff) 200.00ppk; Monzie (Chev) 204.00ppk; Waterside (BF) 194.00ppk; Penston (Mule) 187.00ppk. Ewes (1657) – Newton of Collessie (Tex) £148.00; Mains of Balhall (BTex) £129.00; Southfield (Suf) £92.00; Marvingston (Chev) £82.00; Craighall (BFL) £77.00; Lochran & Meadowbank (Mule) £65.00; Doldy & West Lundie (BF) £49.00. Rams – Ristol (Tex) £80.00.